The Board of Mesa County Commissioners officiates the first 2017 public hearing with 13 items on the consent agenda and six items needing individual consideration. The Honorable Judge Flynn swears-in Mesa County District Attorney Dan Rubinstein into his first term in office. District Attorney Dan Rubinstein swears and affirms that he will support the Constitution of the United States, the Constitution of the State of Colorado, and the laws of the State of Colorado, and faithfully discharge his duties as Mesa County's District Attorney. Sixteen deputy district attorneys are sworn into office by the Honorable Judge Flynn. The Oath of Office ceremony for the District Attorney's office includes the district attorney, assistant district attorney, three chiefs, two investigators and 16 deputy district attorneys. Community members attend the Mesa County Commissioners' inauguration ceremony. Mesa County Commissioner Scott McInnis M.C. 's the re-elected commissioners' swearing-in ceremony. The Honorable Judge McInnis swears Mesa County Commissioner John Justman into his second term in office. Re-elected Mesa County Commissioner Rose Pugliese recites the oath of office officiated by the Honorable Judge McInnis. The Honorable Grand Junction Municipal Court Judge Care' McInnis administers the re-elected Mesa County Commissioners oaths of office. Re-elected Mesa County Commissioners John Justman and Rose Pugliese officially start their second and final term in office. County Commissioners serve for four years for up to two terms. Their primary function is to govern by the Colorado Constitution and on behalf of the legislature to represent the interests of, and provide public services desired by the citizens of Mesa County. Brother and sister join forces to officiate the inauguration ceremony for Mesa County Commissioners Rose Pugliese and John Justman. From left, Grand Junction Municipal Court Judge Care McInnis and Mesa County Commissioner Scott McInnis. Criminal Justice Services' Employee of the Quarter, Employment Specialist Erika Rodriguez, was nominated by her peers as the outstanding employee for the 2016 fourth quarter. She is now in the running for the 2016 employee of the year that will be awarded on Jan. 28, 2017, at the employee awards banquet. 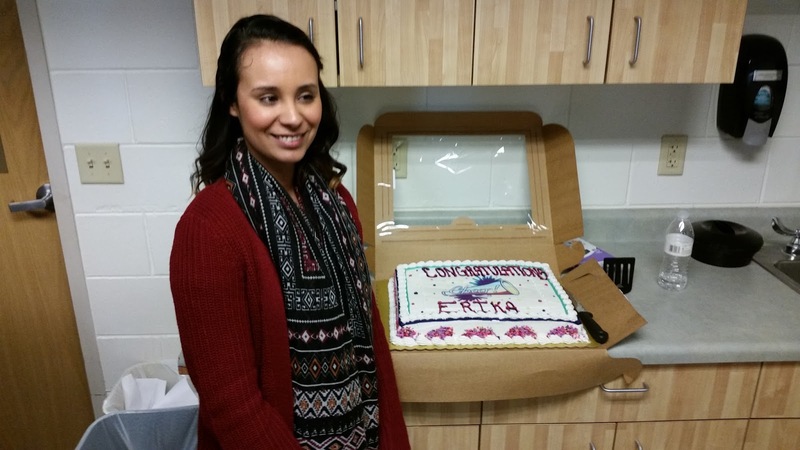 Congratulations, Erika! MCHD Executive Director Jeff Kuhr addresses staff at the first 2017 Quarterly All-Staff Meeting on Tuesday, Jan. 10. 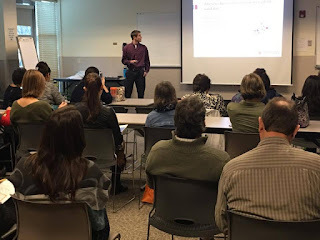 Regional Epidemiologists gave a presentation about emergency preparedness to staff at a lunch 'n' learn event at the Health Department on Wednesday. 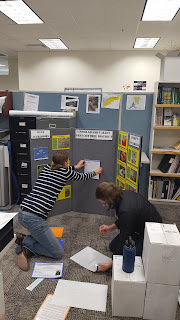 Staff took their lunch break and learned about how to prepare for emergencies in Mesa County. 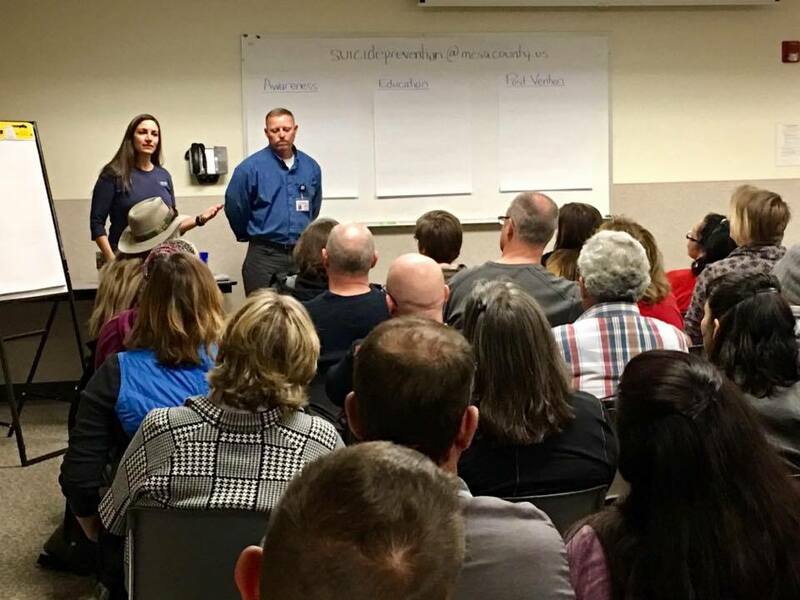 Program Integration Manager Sarah Robinson and Health Promotion Specialist Troy Ward facilitated a Suicide Prevention Open House Forum Community Meeting at the Health Department on Tuesday night. 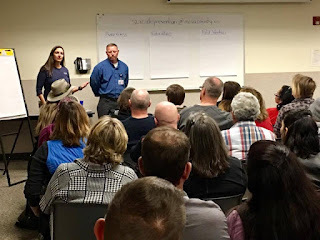 About 145 people came to the meeting to help strategize how to prevent suicides in Mesa County. 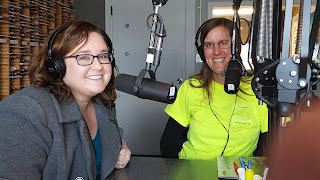 Erin McIntyre, on her KAFM 88.1 radio show "Diggin' the Garden," interviews Mesa County Noxious Weed & Pest Management Coordinator Teresa Nees regarding upcoming events in the Upper Grand Valley Pest Control District. Mesa County Noxious Weed & Pest Management Coordinator Teresa Nees & Mesa County Road & Bridge Administrative Assistant Heather Conder update the Weed & Pest display board for the Western Colorado Horticultural Society conference next week.